Synopsis:Your heart beats only with their permission. 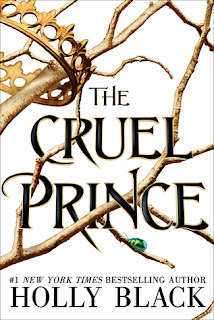 Going into this book the synopsis really intrigued me but I had read the first two books in her beautiful creatures series which she co-wrote with Kami Garcia and to be honest I got a bit bored of them. I put aside my dislike for that series and decided to give her a chance, and I was pleasantly surprised. I wouldn't say this was amazing because I felt as though there were some parts of the story that were rushed and then other parts where I felt myself saying "just get on with it" haha. The first maybe 100 pages gave it a solid start but after that it kind of fell through and I found myself get disinterested but I pushed through. I feel as though there needed to be a bit more character development, there was not much substance to them and I found it hard to find anything I could relate to them with. I didn't really like the main character Dol as she got on my nerves. Also enough with the love triangles in YA I am so over it. Over all I think that the concept of the book was awesome but I think it needed to be hashed out a bit more, especially with the characters. For the most part it was enjoyable but not something I would rave about. If you like young adult sci-fi then this one is for you. Let me know if you have read this and what your thoughts are on it. Synopsis:When half–wolf shifter Frankie Newman receives an e-mail from a family member she didn’t know existed, a secret is revealed: as a child, Frankie witnessed her father killing her mother…and then himself. Frankie was torn from her pack by her mother’s human relatives, and the trauma was erased from her memory. Realizing that she’s been lied to her entire life, she’s never felt more alone. Until she catches the scent of an old friend—warmly familiar and intoxicating. Review:***I received this arc courtesy of Netgalley and the publisher in exchange for an honest review***I have been anticipating this release for ages! I absolutely adore Suzanne Wrights shifter novels, they are definitely a guilty pleasure for me. Suzanne Wright has a way with words and I find myself captivated from the first page. One thing that I wish there was a bit more of is Frankie bonding with the rest of the pack as I found it a bit lacking and she was meant to be best friends with Jamie when she was younger yet I think they had one scene together.My Favourite character in this series has to be Dominic, his pick up lines are the best and never fail to make me laugh. I cannot wait for his book and how he will find his true mate. That book is going to be epic.Unlike in the previous books in the series Trick new as soon as he saw Frankie that they were mates, while it took Frankie a little longer to figure out. I loved that they didn't jump straight into claiming each other but instead they took the time to get to know one another and go on dates. I know that the books in this series have a similar outline with the sassy, confident heroine and the brooding alpha male. Either one or both have something blocking the mating frequency so they don't know that they are true mates. Greta hates the Heroine because they are trying to "steal her boys away". Even with all these things being similar I can't seem to get enough of them, there is something addictive about these books that I can't explain. I did find that the murder of Frankie's parents was a bit predictable but I still enjoyed it none the less. I think thats the thing that bothered me most because I like a challenge in figuring out a murder mystery, it's what makes it more fun. Especially when it is unexpected. This wasn't my favourite of the series but I still really enjoyed it. 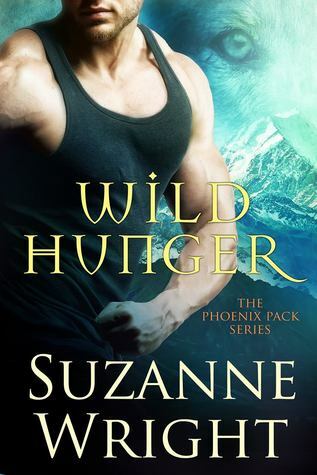 If you like shifter romance then I definitely recommend this series as well as the spin off series the mercury wolves. If you are going to read this series I do recommend reading Feral Sins first but you can read them all as stand alone's. SynopsisOf course I want to be like them. They’re beautiful as blades forged in some divine fire. They will live forever. I feel like I should mention that there are a few Trigger Warnings, there are some harsh themes that follow in the story which include suicide, sexual abuse, physical abuse and murder. I Love the cover for this and the title fits the book perfectly. Writing a story on fae is something that is hard to master but Miss Holly Black does it effortlessly. The start was super intriguing, I mean her parents are murdered by one of the Fae in front of her and her sisters. I really liked the Heroine Jude as she was headstrong and didn't let the bullies get to her, she held her head up and didn't let them know how much their comments affected her. There were some parts of the book where it felt a little slow and I started to get a bit bored but it never lasted long and picked up the pace pretty quickly. I feel the reason I felt it to be slow was the politics as there was a quite a bit of info for me to wrap my head around. The world building is fantastic and I love the fact that the book had a touch of romance but it didn't overshadow everything else, it was sporadic. I am exited to see where the rest of the story goes as we were left on a bit of a cliff hanger. 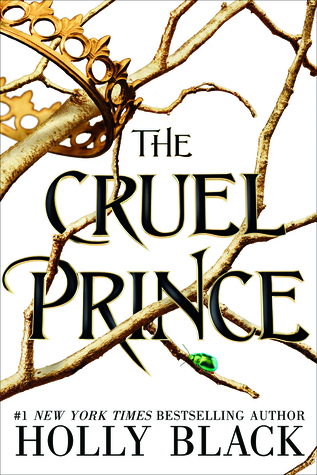 If you love fantasy and Faeries then this one is for you. 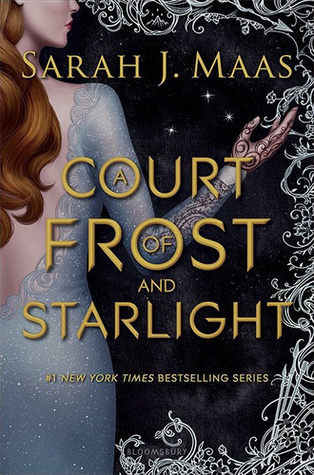 Synopsis:Feyre, Rhys, and their close-knit circle of friends are still busy rebuilding the Night Court and the vastly-changed world beyond. But Winter Solstice is finally near, and with it, a hard-earned reprieve. Sarah has done it again. I thought that Feyre's story had ended in A Court Of Wings And Ruin but then I found out that this book was coming out and I was super excited to get to read more Feyre and Rhysand scenes. This book takes off where we got left in the last one. Both Feyre and Rhys have been busy trying to put things back together again and barely have any time for one another. I loved the banter between all the characters and I thought it was an awesome send off to Feyre's chapter. I thought it was cool to see a bit more of Mor's point of view, I am very interested to see where her journey leads. Especially with her awful father. I also loved the chapters with Nesta and Cassian, I am really looking forward to the next book in this world and I hope that it is their story! This book tied everything up nicely and it was just cool to see how everyone adapted to the changes after the war. Highly Reccomend and I will be counting down the days till the next installment!